Bounty hunters… They’re one of the oldest professions in the world. Sometimes known as bail agents, fugitive recovery agents, and even bounty killers (back in the day), there are only two places in the world where this practice is still commonplace. The Philippines and the United States of America. During the Old West times, bounty hunters were known throughout the lands. They often picked up ‘Wanted Dead or Alive’ posters, bringing their captives back to the sheriff for their payment. Either dead or alive! Nowadays, things are quite different. Known as bail enforcement agents these guys (and girls) hunt down those who have skipped bail and arrest them. Bounty hunting, the phrase, is known for having some pretty dark historical connections, so it’s rarely used. Well, it’s rarely used unless you’re Dog the Bounty Hunter. Millions of people will know what a ‘bounty hunter’ is thanks to this one guy. 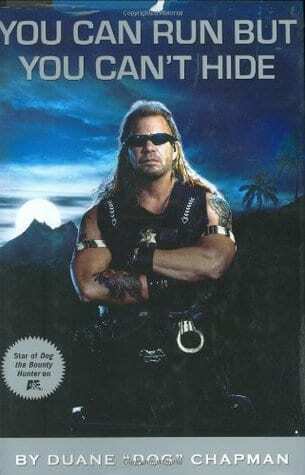 The reality TV series, titled Dog the Bounty Hunter, was shown on A&E between August 31, 2004, and June 23, 2012. It reached millions of homes in America and across the world, showing people what life was really like as a bail agent. Even if you didn’t manage to catch the show on TV back then, there are still dozens of reruns being shown on cable TV in America and across the globe. But what is life really like for a bounty hunter? 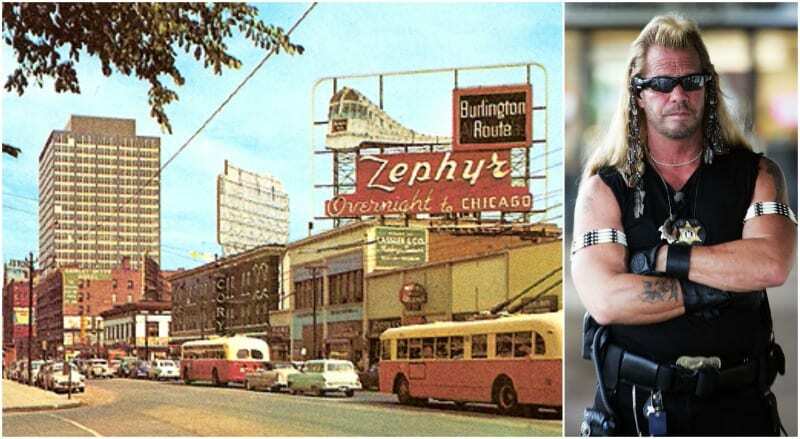 Why did Duane Chapman, as he was known, decided to live a life of catching bad guys? Turns out, Dog has some pretty dark secrets of his own. With a controversial upbringing and a rather unusual start to bounty hunting, Dog has made a name for himself over the last few decades; sometimes for doing good and sometimes for doing bad. Whether you’ve binge-watched all of Dog the Bounty Hunter or only know of him, you’ll admit that his story has been an interesting one. 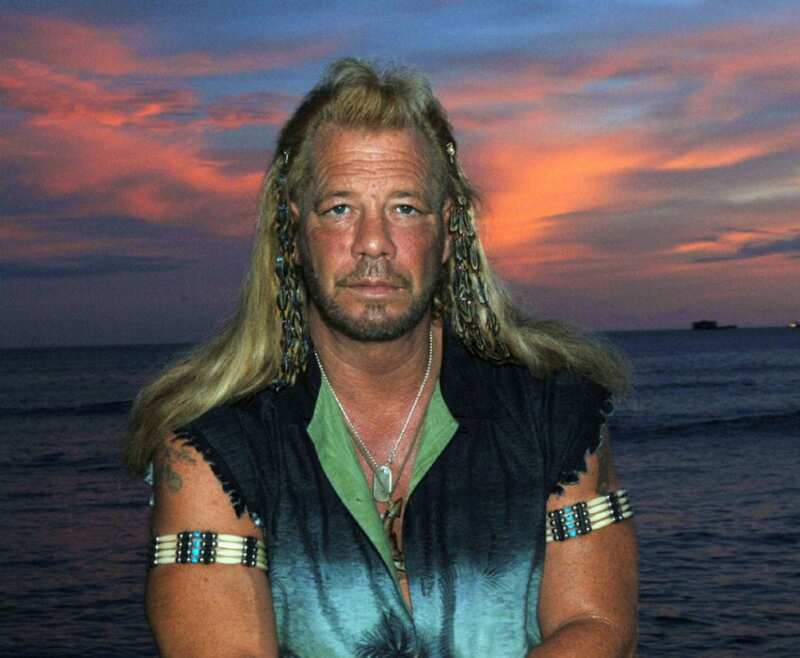 Let’s look at the controversial life and secrets of Dog the Bounty Hunter. 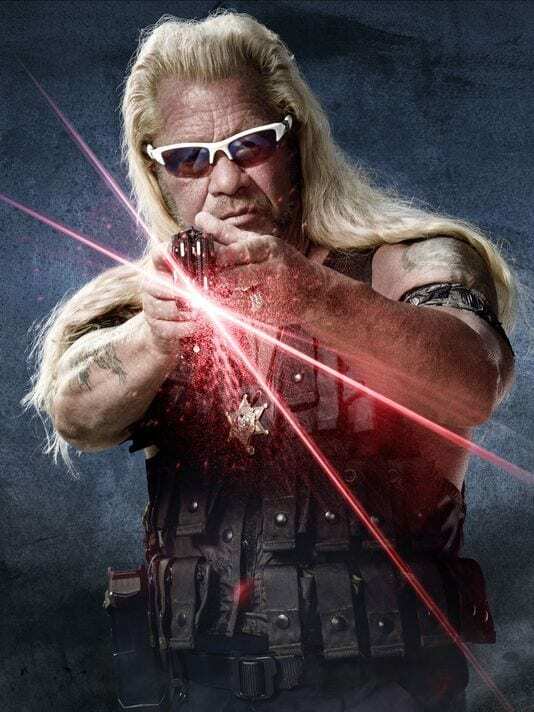 Dog the Bounty Hunter (real name Duane Chapman) was born in Denver, Colorado. His father was a welder for the United States Army and made money with his side hustle; boxing. His mother was a minister for the First Assembly of God church. He was brought up well by his mother, who instilled a lot of her morals and values in Dog. He also had two younger sisters and a younger brother, making him the oldest of four children. There have been many claims by Dog himself (and others) that his mother is a Native American, being half Chiricahua Apache. It explains why Duane sports a feather in his hair and is said to identify so much with the Native American culture and heritage. However, many Native Americans have disputed his claim, saying his mother was not part of them at all. They believe Dog uses it as a marketing ploy and has no Native American heritage. Dog didn’t always have it easy growing up. His father, being a boxer, was a physical man who disciplined his children with physical force if he thought it was needed. 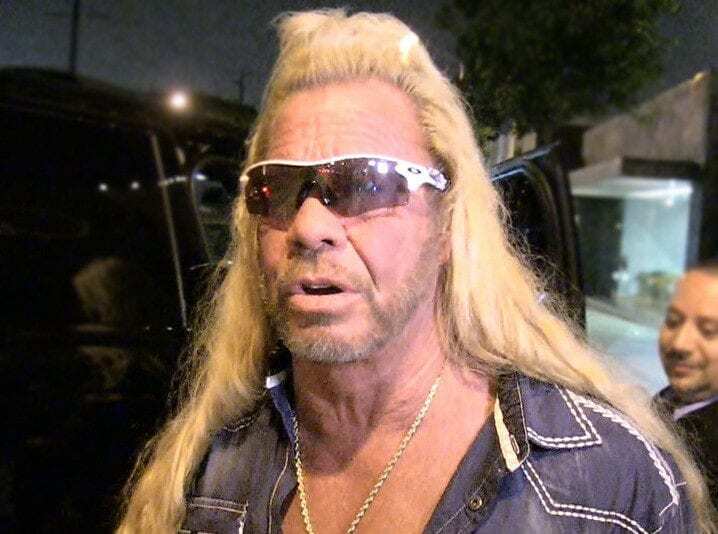 Duane Chapman also grew up in a modest house, with not a lot of money. Sometimes there wasn’t enough food to feed the whole family! These rough beginnings led to Dog dropping out of school when he was just 13 years old, in the seventh grade. After he had dropped out of school, things didn’t pan out too well for Duane. He joined a motorcycle gang and started living a life of crime. He was arrested around 18 times for various crimes, mainly alleged armed robbery. While his mother had tried to instill her morals into Dog, he had taken the wrong path. His wild lifestyle led him to a woman named LaFonda Sue Honeycutt, and the pair had a child together. During living life on the edge, something quite terrible happened that would change Dog forever. Duane was waiting for his friend to complete a deal of some kind, sitting in the car and apparently minding his own business. This friend then shot and killed the man, leading to Duane ‘Dog’ Chapman being arrested and convicted of First Degree Murder. 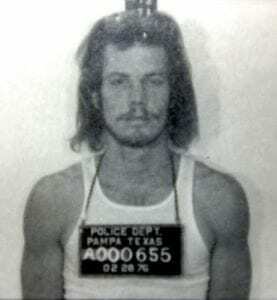 He was sentenced to five years at the Texas State Penitentiary. Dog would be doing time. It was during his time at prison that Dog received some bad news. His wife, LaFonda Sue Honeycutt, wanted a divorce. 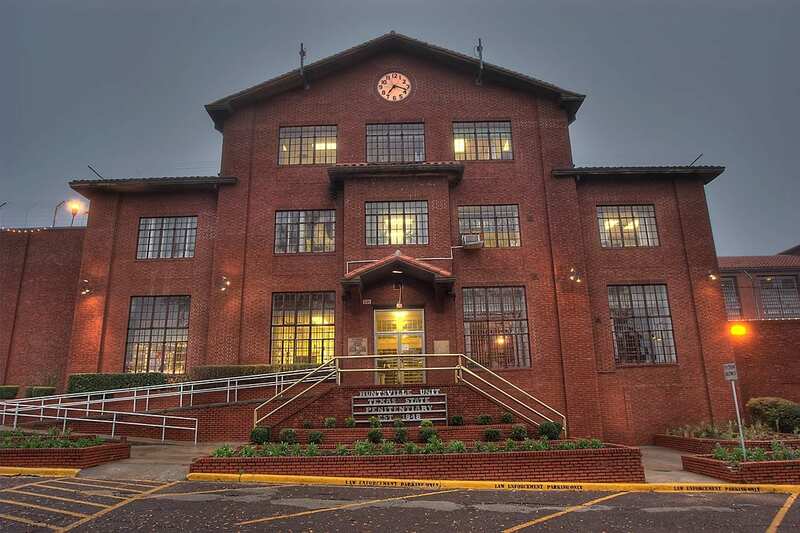 In Texas State Penitentiary, Dog was doing hard labor and serving his time, when he got the divorce papers through. The pair agreed to split, with LaFonda getting custody of their child. She then went onto remarry quite quickly… With Dog’s best friend at the time. Ouch. Perhaps not such a good friend after all. Duane ‘Dog’ Chapman only served a year and a half of his five-year sentence, being let out for good behavior. However, when he was let out, he was informed of the mounting debt of child support he had to pay. The judge in charge of the child support case had heard about Dog’s behavior in prison and what the wardens had said about him. He suggested he became a bounty hunter to pay off the child support that was owed to his ex-wife. 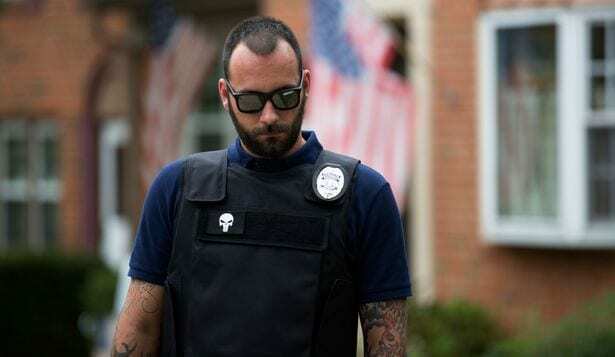 Bounty hunters (AKA bail enforcement agents) have been around since the United States first began. Their job is to hunt down those who have skipped bail, before bringing them back and making sure they serve their time. The bail bondsman will then pay the bounty hunter a percentage of the bail fee, which can be quite a lot dependant on the bailee. 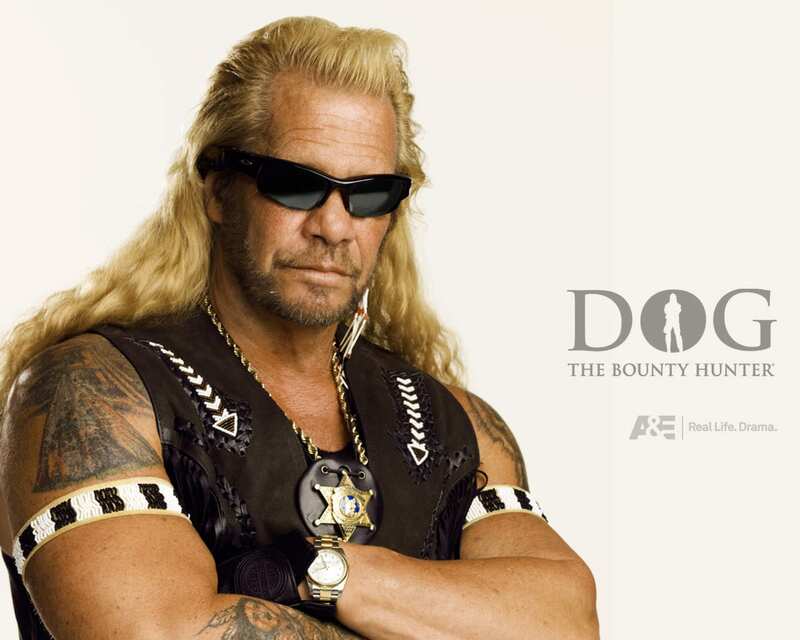 Dog started bounty hunting in the 1980s and continued up to the mid 2000s. Andrew Luster had escaped to Puerto Vallarta in Mexico, after being charged with 124 years in prison for what he’d done to over 80 women. 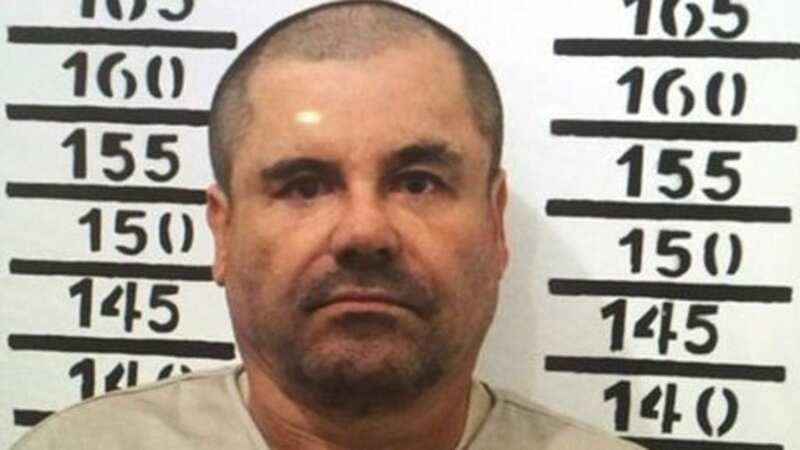 It didn’t take long for Duane ‘Dog’ Chapman to track down Luster, chasing after him to Mexico. However, the bounty hunter and his crew were stopped on the US/Mexico border by Mexican authorities. Dog had forgotten one vital detail; bounty hunting was illegal in Mexico. He wouldn’t be able to take Luster back to the US authorities. After being arrested in Mexico, Dog paid the bail to get out of Mexican prison for both himself and his crew. However, they quickly ran off to the US and escaped Mexico, making them fugitives themselves. 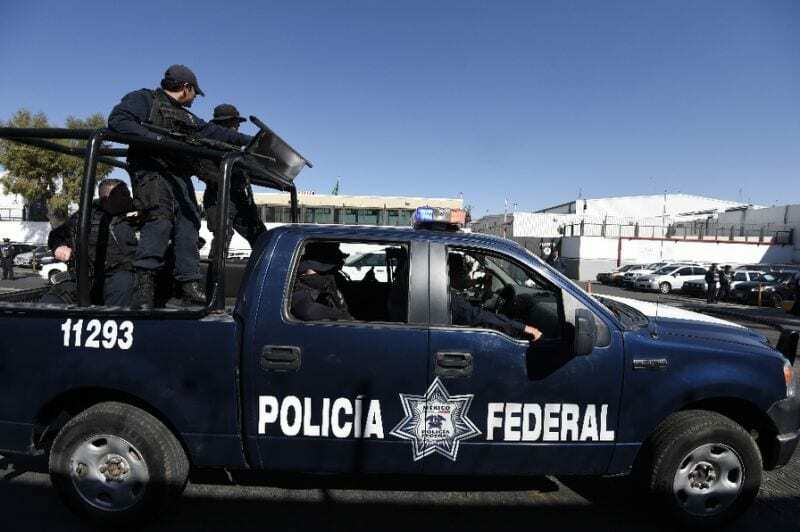 The Mexican government hassled the US government to send Dog and his crew back, to be charged with felony kidnapping. The hunter had become the hunted. Meanwhile, Luster had been extradited to the US in order to serve his time. Just days before the Statute of Limitations was up in Mexico for his felony kidnapping and evading Mexican law enforcement crimes, Duane and his crew were arrested in Honolulu, Hawaii. Extradition proceedings began, and Duane spent the next year reaching out to those he thought would help him. He tried US Senators and even Condoleezza Rice, the US Secretary of State. Both himself and his crew were trapped, with seemingly no way of getting out of this one. Dog, the bounty hunter, alleges that during this time, he was being used as a pawn in a prisoner swap between the US and Mexico. With all of the attention Duane was getting for his case, the Mexican government wanted him even more. 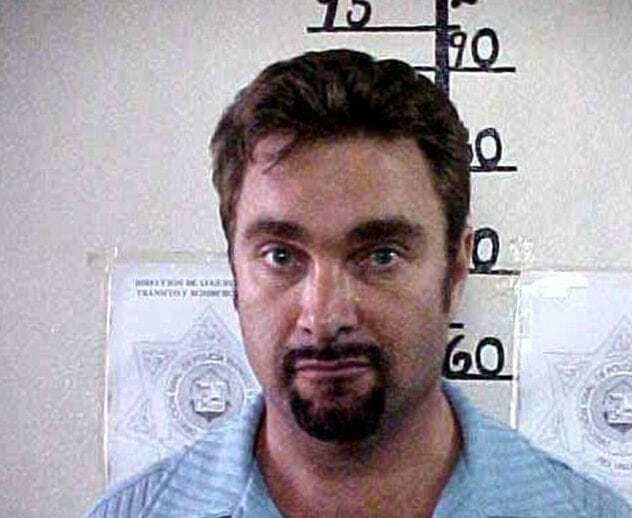 The US government also wanted a drug lord that Mexico were keeping hold of. Dog believes that the two countries were trying to swap one for the other. The warrant for Duane’s arrest, however, had reaches his Statute of Limitations. Dog was free! All this worldwide attention caused Duane ‘Dog’ Chapman to make a bit of a name for himself in the US. Producers working on a show called Take My Job decided to shadow Dog, in order to see what his life (and work) was like. This one-off experience led to many other TV offers, including an appearance on Dominick Dunne’s Power, Privilege, and Justice; a show on truTV. 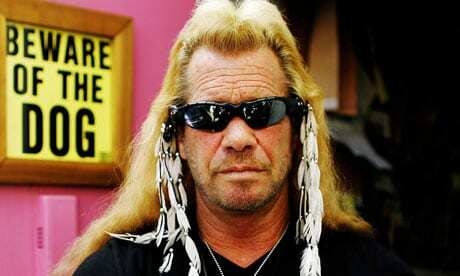 Finally, Dog was offered his very own TV show – Dog the Bounty Hunter. 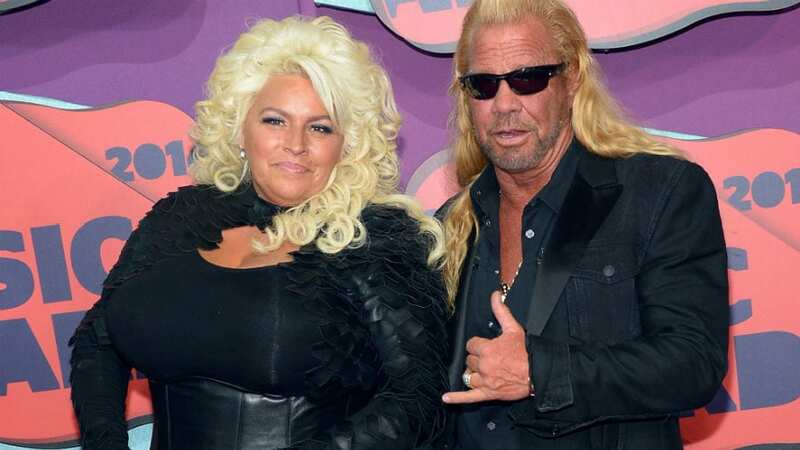 Dog and his wife Beth Chapman ran a bail bonds company together, proving that teamwork makes the dream work. Beth stayed in the office to do all of the paperwork and admin, while Dog was out on the road catching the bad guys. 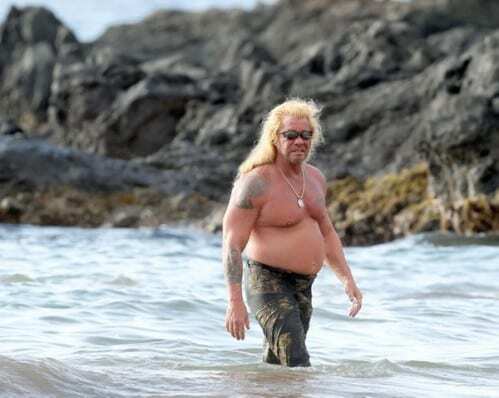 This was the basis of their Dog the Bounty Hunter show, which ran for nearly 250 episodes. 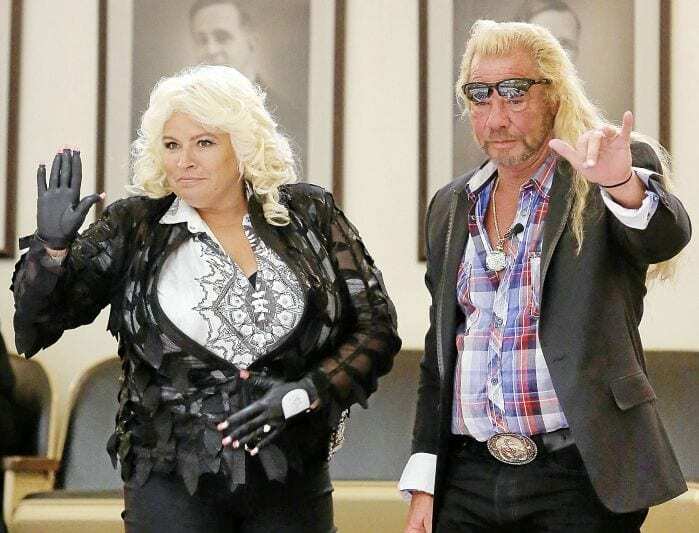 After being one of the highest rated TV shows in America, the pair created a spin-off called Dog and Beth: On the Hunt. Dog has been married four times, and has had children with three of his wives! 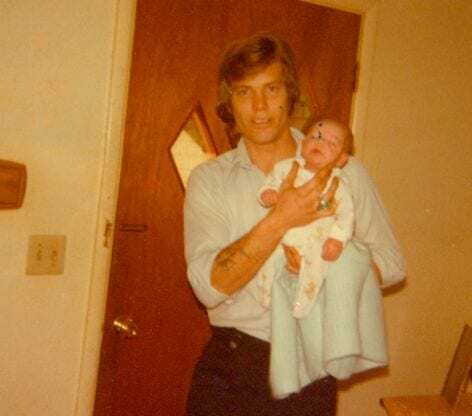 His first child was born when Duane was just a teenager and was kept secret from him. The other eleven (yes, he has twelve children in total) were through his previous marriages. Many of his children – or puppies as we like to call them – keep in contact with Duane. However, two have already passed away at young ages. The night before Duane and Beth were due to get married, tragedy struck. 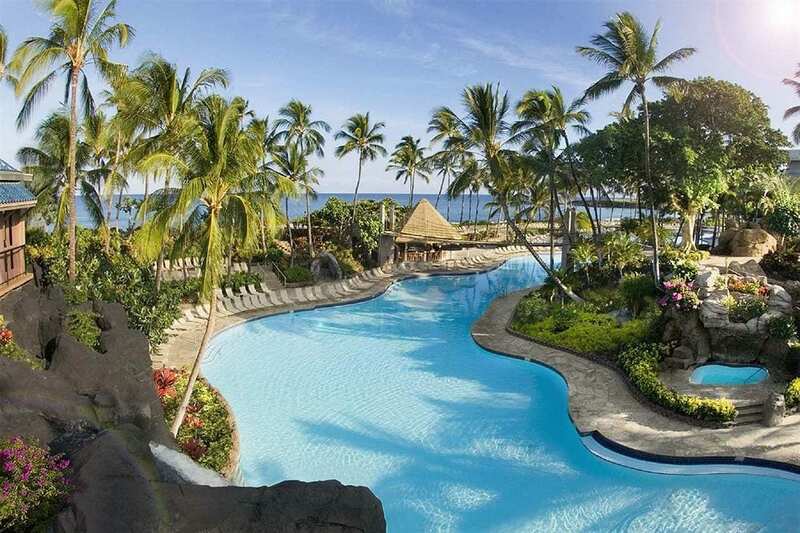 The pair had been planning the perfect day for some time and were due to get married at the Hilton Waikoloa Village in Hawaii. However, one of his daughters had got drunk and stolen a vehicle the night before the wedding, this led to her death in a fatal car crash. After much talk with his family, Dog decided to go ahead with his wedding day and celebrate his daughter’s life at the same time. Dog the Bounty Hunter canceled? 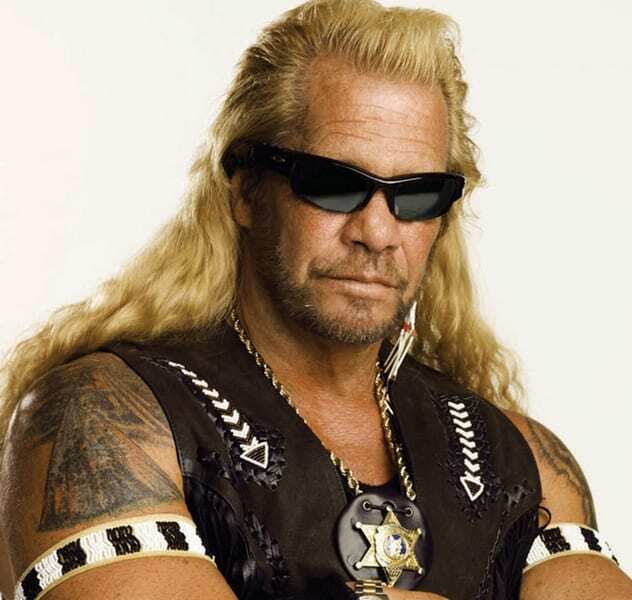 Dog the Bounty Hunter had been running for some time when a secret phone call was taped and released to the public, leading to hundreds of complaints to A&E, the network running Dog the Bounty Hunter. They shut the show down after Dog was taped calling his son’s African American girlfriend the ‘N Word’. Duane wasn’t happy with his son’s choice in date, which led to the phone call being taped and released to the public. 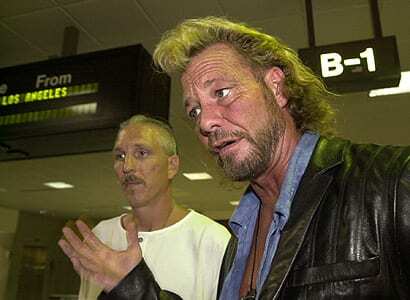 After his show was canceled, Duane publicly apologized, before A&E reinstated Dog the Bounty Hunter. Lyssa, one of Duane’s daughters used to help her father chasing down the bad guys and bailees. After banging loudly on a door to try and get hold of someone, at 3 am in Honolulu, the police arrived at the scene due to a noise complaint. An officer started filming Lyssa as they asked her to stop banging on the door, so the Chapman daughter slapped the phone out of the officer’s hand. 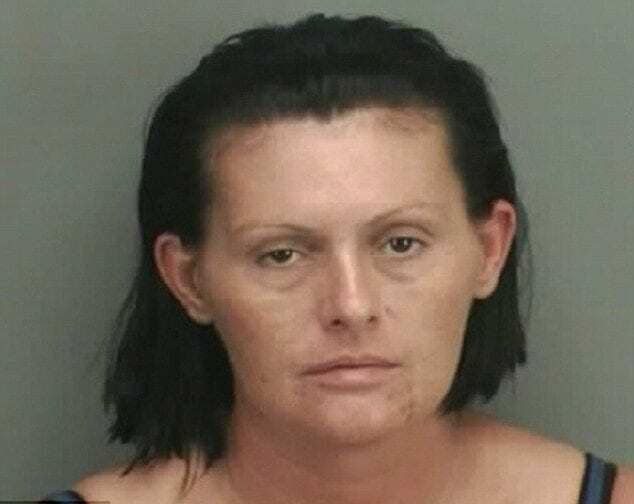 Lyssa Chapman was then arrested. 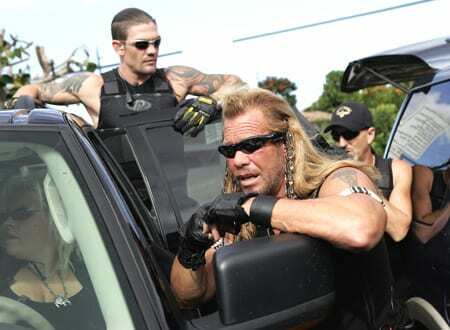 During Dog and Beth: On the Hunt, the married couple would send their sons all over America in order to hunt down those who had skipped bail. The pair were based in Hawaii, but their business would help other bail bondsmen across the US, and their sons did a lot of the dirty work on the show. This series lasted over 45 episodes until Leland said he wanted a new start in Alabama and Dakota fell out with Dog, his father. As Dog once served time as a convicted felon, it is illegal for him to carry a firearm or apply for a gun license. Because of this, Duane has to take down all fugitives with his bare hands! Dog specializes in cunning tactics and brute strength to catch the escaped bailees. However, just in case, his crew all carry weapons which they’re all licensed to do. Sometimes criminals can get out of hand, you know! One day, Beth Chapman was in Colorado with her kids on a fishing trip; it was here she got into quite a bit of trouble, thanks to her mouth! Some teens in a speeding car nearly hit the family, so Beth shouted and swore at them. One of the teens whipped out a gun, so Beth hastily called the police. Little did she know, it’s actually illegal to swear at someone in Colorado. She ended up being the one in trouble! As they’re perhaps some of the most famous bounty hunters in the US (and the world), Beth and Duane put their fame to good use. Bounty hunting is constantly under threat due to new legislations, and so the pair lobby for the industry. Beth was elected to be the President of the National Bail Bonds Association, and Duane is a lobbyist for the same group. 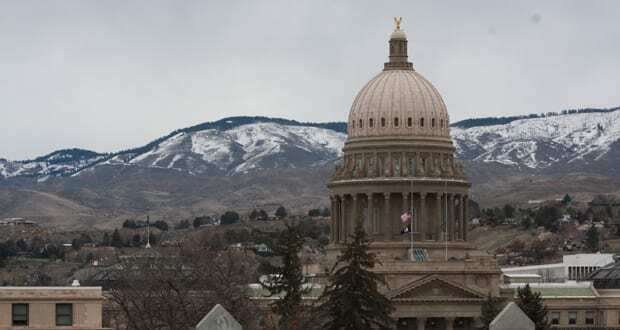 He recently lobbied against new legislation put forward by Idaho, which could have ruined the industry. During one search for a bailee in Breckenridge, Colorado, a massive bar fight kicked off between Dog and his crew, and the guy behind the bar. The bartender asked Dog who he was looking for, to which he replied the owner of the bar. Dog was then called a “half-breed” by the barman, which led to a huge scuffle; involving broken glasses, smashed plant pots, and a lot of punches being thrown. Eventually, the crew gave up and left without any information. War Machine was quite a well-known MMA fighter, who was dating another well-known adult film star. He caught his girlfriend with another man, which led to him losing his rag. He beat up the guy she was with, before turning on his girlfriend herself. After breaking several bones in her face and damaging internal organs, War Machine did a runner. 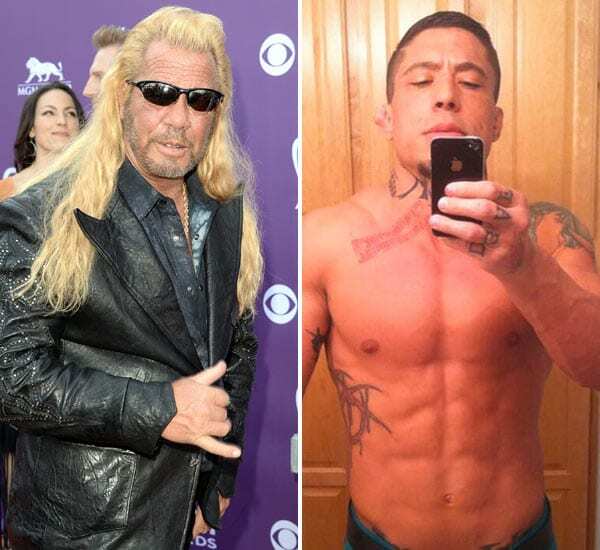 Dog tweeted, “You got 24 hrs to turn your self (sic) in or I am Coming After YOU!” The MMA fighter had no chance against the bounty hunter and was eventually tracked down by Dog. As Duane ‘Dog’ Chapman is not allowed to own a gun, due to his previous convictions, he has to think outside the box. Finding a loophole in the weapon law came easily for Dog, and he found out that he could carry a taser. He now takes down anyone that tries to run from him using his taser; which will shock them into submission. Who said you need a gun to be one of the greatest bounty hunters in the world?! The other weapon Dog worked out he was allowed to carry was… A paintball gun! Anyone who has been paintballing will know it really hurts if you’re hit by one, but it’s hardly going to take down some of the big criminals Dog sets his sights on. That’s why he has some special ammunition for the real baddies. Pepper paintballs! They’re normal paintballs, filled with pepper spray, guaranteed to take down even the toughest of criminals. Leland Chapman is the son that Dog had just before he went to prison, with his wife of the time LaFonda. His mother couldn’t control the troubled boy, especially after he joined a gang at 13 (a bit like his father then!). His mother couldn’t control him, so put him in a foster home when he was a teenager. Duane eventually adopted him and helped him become the awesome Chapman son he is now. Leland used to be an MMA fighter and professional boxer until an injury changed all that. Damaging his knee in training with a friend of his, Sonny Westbrook, Leland was told he’d have to wear a knee brace for quite some time. Doctors told him that if he ever fought again, he could lose his entire left leg. Leland had to give up fighting for good, after that heartbreaking news. He still has regular check-ups on his knee, too. Leland was born just seven months before his father went to prison, and so Leland was brought up believing that his mother’s second husband – remember, the best friend of Dog? – was his real father. When Duane got out of prison, he didn’t start visiting his son until he was already eight years old. Leland only then discovered that Dog was his real dad. This could explain partly why Leland became such a troublesome teenager. Beth is not only one of the most famous bounty hunters of all time, but she was also one of the youngest to get a bounty hunting license aged 29! Being on TV brought immense pressure on Beth and her self-confidence, especially as she was known for being somewhat curvy. This led to her getting a tummy tuck in 2012, making her look leaner and stronger than ever. We think you are beautiful both before and after Beth! 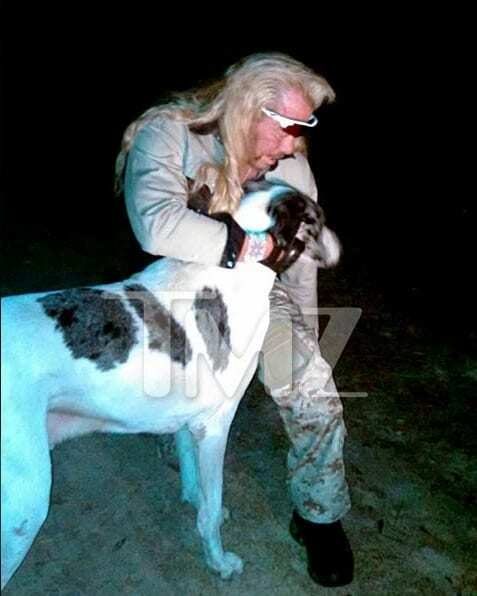 According to news reports from TMZ, Duane once tried to buy a dog from someone he was arresting! James Hawkins, from Texas, was being arrested when Dog noticed his gorgeous Great Dane. Duane offered Hawkins $1,000 on the spot to take his dog off of his hands, but Hawkins refused. Duane has since gone on to say that none of the report was true and it’s all fabricated. On that same night, and in the same TMZ report, it is said that the four children of Hawkins were big fans of Dog the Bounty Hunter. As Beth went to comfort the children, whose father was being arrested, they asked if they could get a photo with her. While they were devastated at their dad being arrested, they were over the moon to get their photo taken with one of their heroes. It’s a funny ol’ world, right? 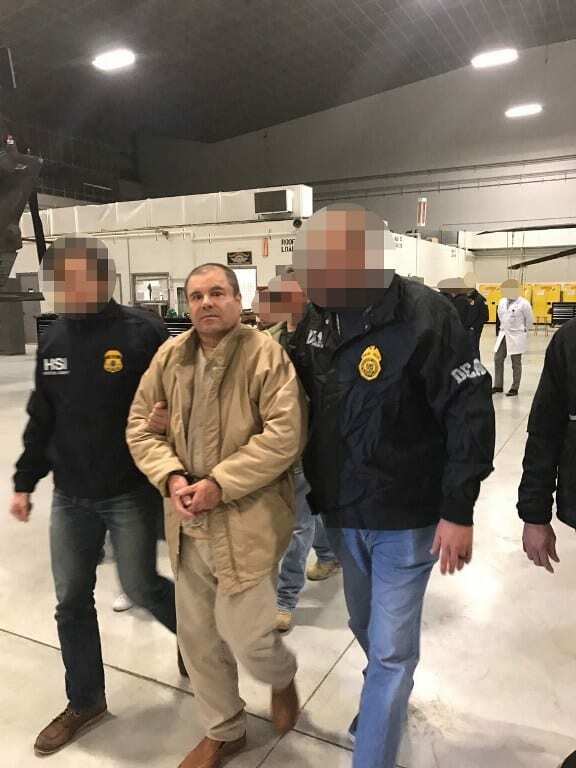 El Chapo Guzman was the head of an infamous cartel in Mexico and on the run from the authorities when the US government put a $5 million bounty on his head. A TMZ reporter caught Dog off guard and asked him if he’d be helping the US government catch El Chapo Guzman, being one of the best bounty hunters out there. Duane referred back to the last time he tried to catch a fugitive in Mexico and said, no matter how much money was at stake, he’d not be joining the hunt. In 2015, a bounty hunter by the name of Charles Fisher sued Duane and Beth Chapman. He claimed that Dog and his wife had destroyed his reputation as a bounty hunter and dragged his name through the mud, on their own TV show. The couple made it seem as though he had used unethical means to increase business and even that he’d stolen money. Fisher said that suing for $30 million was fair, as they’d stopped him being able to work in the industry. The Netflix hit Making a Murderer really brought the story of Brendan Dassey and Steven Avery. When Dassey was due to be released from prison, a TMZ reporter asked Dog what he thought on it. Turns out, he had quite a lot to say! Duane said it was important for the US to be locking up offenders who were dangerous, but that the trial process is far too long. He believes the whole thing could be done quicker and cost less money to taxpayers. Beth and Duane ‘Dog’ Chapman attended a conference for bail bondsmen in Las Vegas, back in 2015, when things turned ugly for their bodyguard. 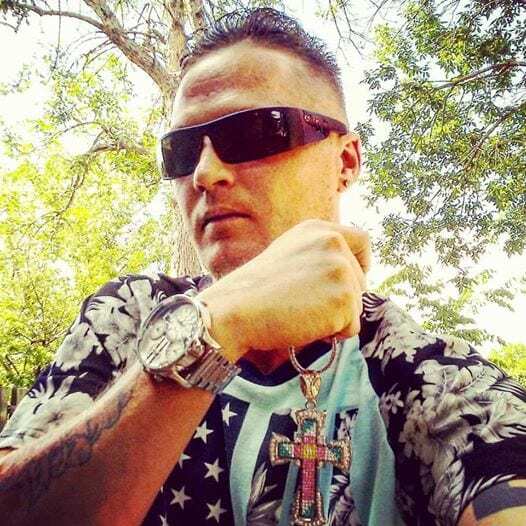 Ronnie Frank, a rival of Dog’s, allegedly started threatening the bounty hunter and came close to punching him, according to reports. Doing his job, Dog’s bodyguard stepped in, and things took an ugly turn. The bodyguard ended up hitting Ronnie Frank in the heat of the moment, which led to his arrest. You always have to be on the lookout when you’re rich and famous! 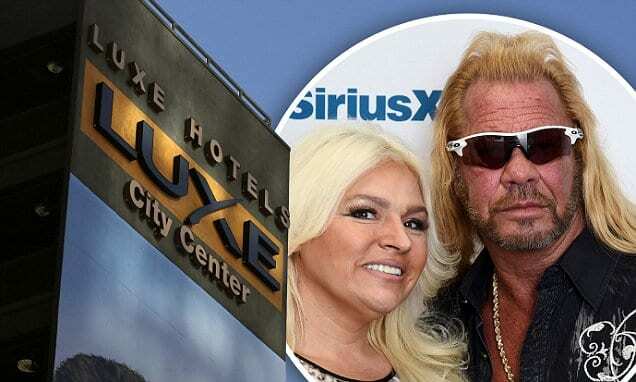 Beth and Duane Chapman were staying at the Luxe Hotel in Los Angeles when they found that $5000 had been stolen from their locked safe. 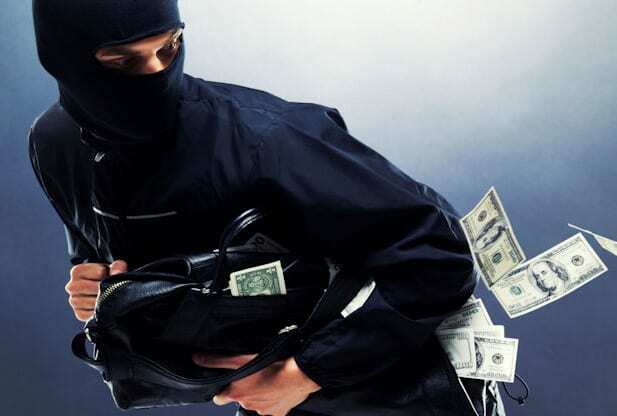 As there was no forced entry, the police believed it was an inside job – most likely an employee from the hotel who had seized their opportunity to get rich quick. Turns out that you can’t be too careful, even with a safe in your room! 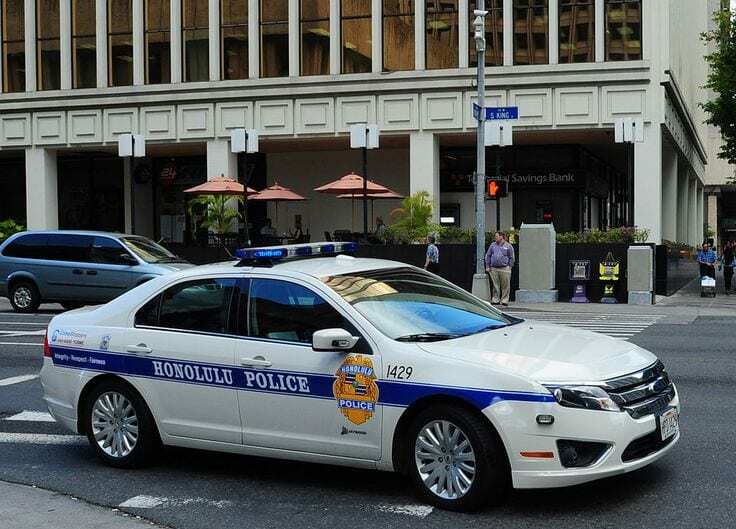 The chief of police in Honolulu, the capital of Hawaii, was recently forced to resign over a corruption scandal. 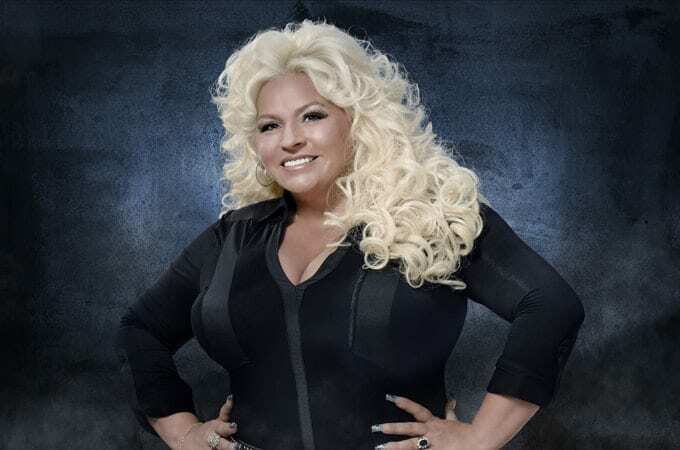 In the past, police chiefs were usually chosen and vetted by a panel of civilians; headed by Beth Chapman (which caused some controversy in itself). The police chief is there to serve the civilians of Hawaii, which is why civilians led the panel to vet the next one. However, this time the civilian panel was not used to pick the chief. Beth has since said she’s fine with the decision and not disappointed. Ed Forchion was arrested in July 2017, for allegedly trying to tamper with a witness. This usually means he was coercing or threatening a witness into saying whatever he wanted him to say so that Ed Forchion would get off scot-free. However, Forchion denied that was what had happened and that he was being held as a prisoner due to his Rastafarian beliefs. He went on hunger strike for two weeks, before Dog convinced him to stop. Duane Chapman is never afraid to say what he thinks on matters of justice, such as his recent interview with Fox News on the rise of smash and grab crimes in California. 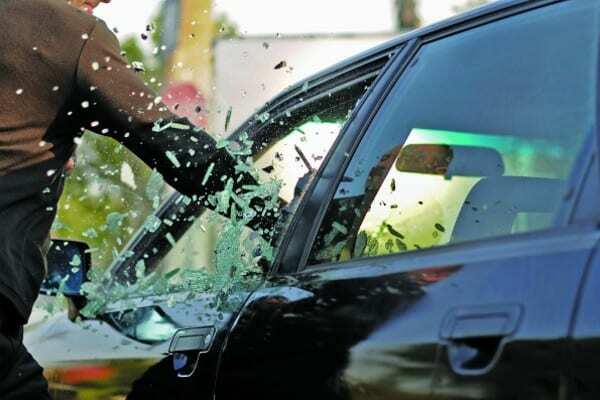 He said that ever since the laws changed from charging smash and grabs as a misdemeanor instead of a felony, criminals are less afraid of getting caught. California passed the criminal reform act of changing them from felonies to misdemeanors in 2014, and the crimes have been on the rise ever since. Both Beth and Duane Chapman have been caught up in a custody battle over their grandson, Travis Mimms Jr. recently. They claim that their father would abuse the child, which led to Beth and Dog letting Travis Jr. come and live with them. Things got a bit ugly when Travis Jr. asked to go back to his dad, but the Chapman’s kept on fighting. They wanted to give their grandson a better life than the abuse he was suffering at home. 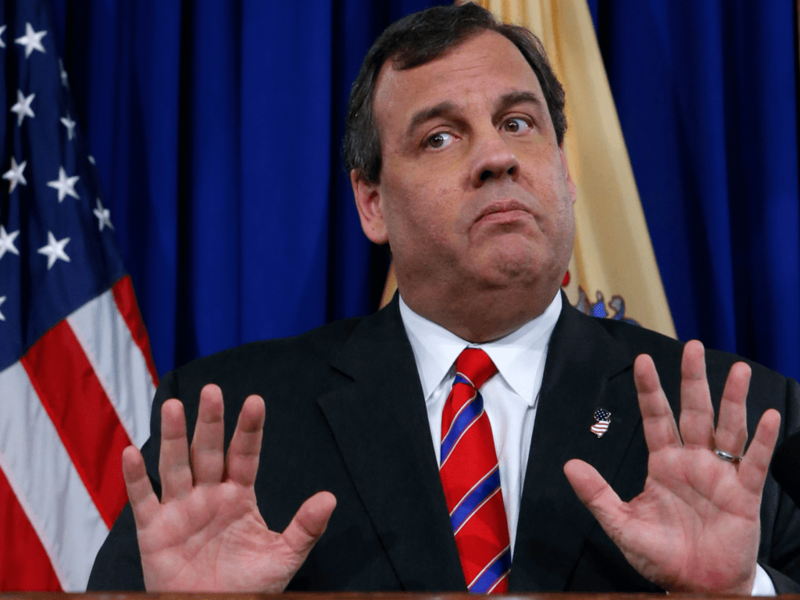 When Duane and Beth Chapman visited New Jersey to lobby for bail reforms, they asked to meet with the Governor, Chris Christie. They’d already lobbied at several town halls and felt meeting with the Governor would be the icing on the cake. 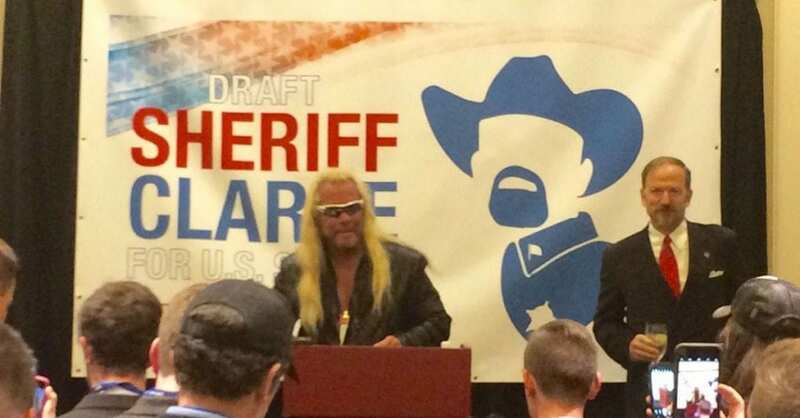 However, Chris Christie simply laughed off the idea of being in the same room as the infamous Dog the Bounty Hunter. He said he’d send his less favorite member of staff to deal with them, as a joke. Dog was not happy with the refusal. Duane ‘Dog’ Chapman has made it his mission to stay on the right side of the law and is good friends with the police force. 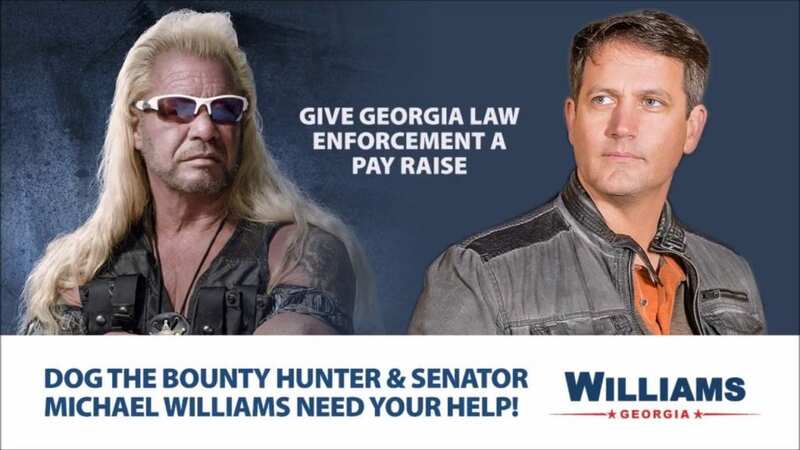 To prove he really has their best interests at heart, he has worked with Michael Williams, the Georgia State Senator, to ensure law enforcement give liveable wages. Along with campaigning for the boys in blue, he’s also recorded a Robocall that asks Georgians to sign the pay increase for police petition that was set up. 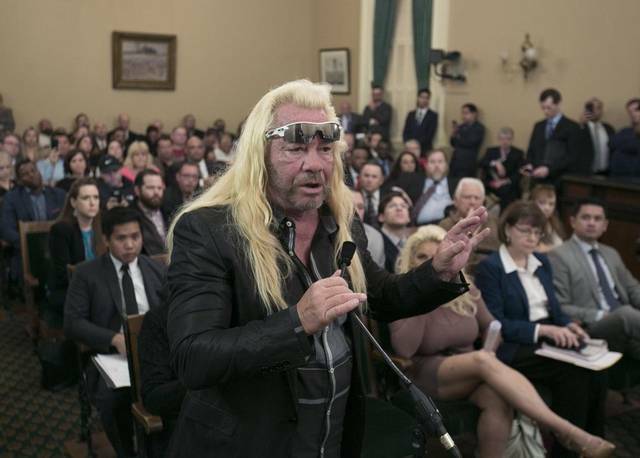 Dog, the bounty hunter, has spent quite a lot of time campaigning in California recently after the state started looking into a law that would practically end the bail system. 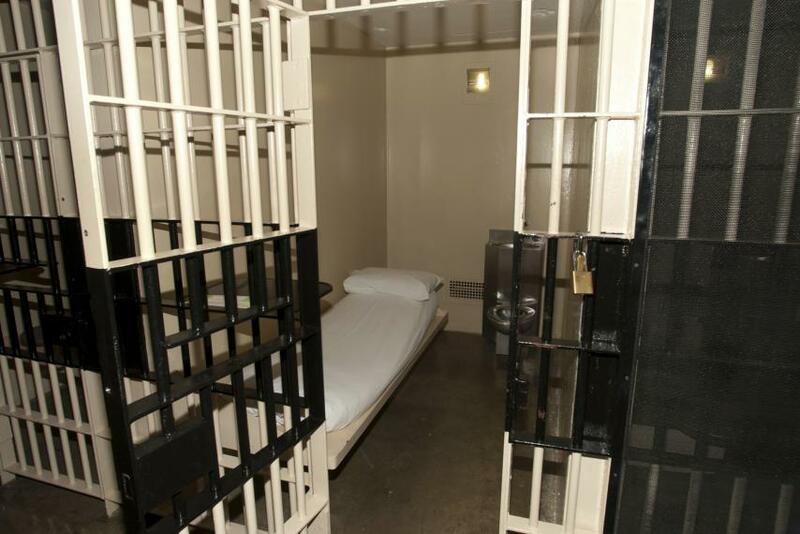 It would allow criminals to be let out, on the assumption they’d simply go back to court at a later date. Duane and Beth have lobbied against this movement in Sacramento, recorded Robo-calls pleading to the public, and actively fought against the new bill being passed. 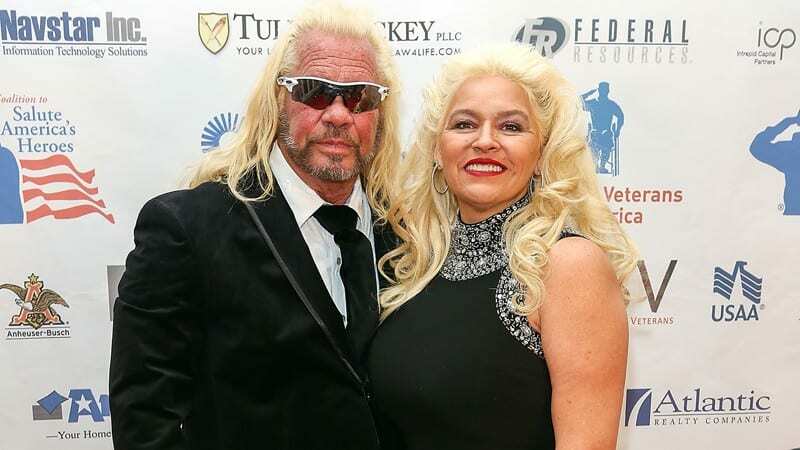 Both Beth and Duane Chapman have told the world they were keen Republicans, so it came as no surprise that they were spotted in Washington just before the inauguration of the new President of the United States, Donald Trump. However, despite their firm political beliefs, both also gave support to Hillary Clinton in the past. Duane said he thought Clinton would be able to handle ISIS and Beth admired her for being a strong woman. 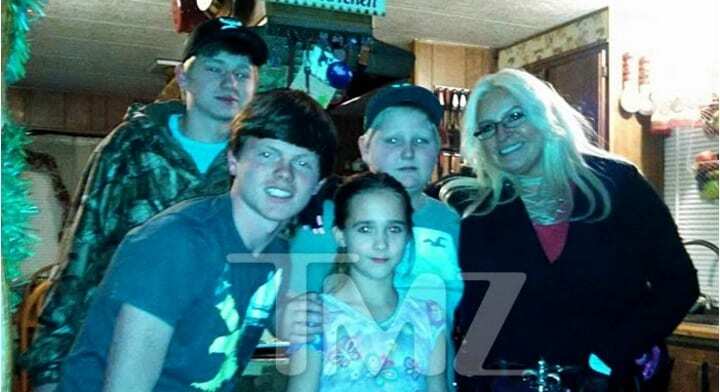 Some Dog the Bounty Hunter show fans might remember Beth and Duane’s nephew, Justin Bihag. He appeared on the show several times, up until it ended in 2012. However, one the show was over, Justin began suffering from depression. He was caught taking illegal substances on numerous occasions, and he even lost custody of his own kid. Justin Bihag has also spent a lot of time in and out of jail for various crimes. 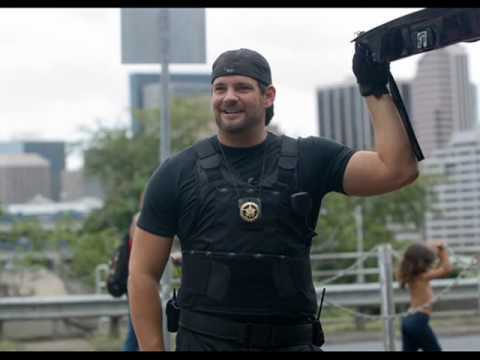 Although Justin apparently gave permission for his incident to be part of the show, he claimed that Dog and Beth had promised him a ton of money for being in the series. However, he believed he didn’t see all of the money he was promised and that he should have been paid for the episode that featured his incident. What he kinda forgot to mention, however, is that the accident happened because Justin was driving under the influence. Awkward! 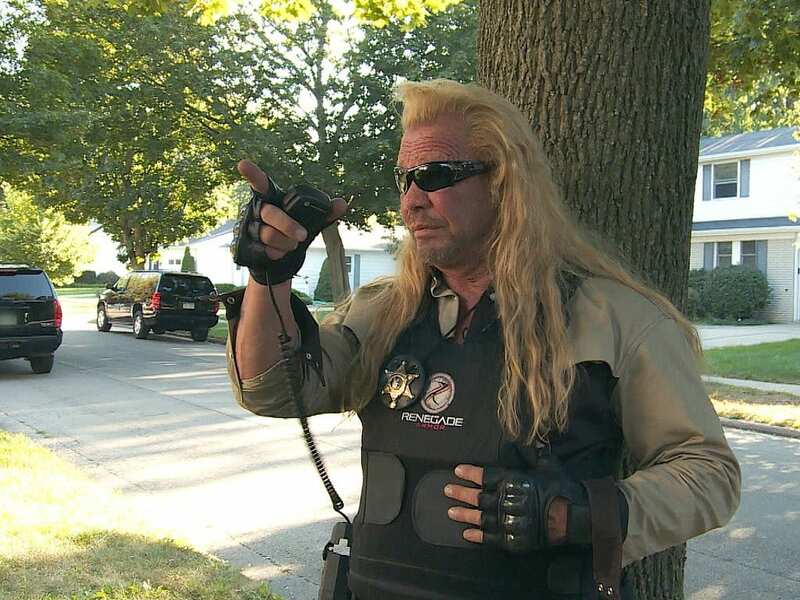 Despite being a Republican, Duane Chapman is happy to pledge his support to anyone who is going to be tough on crime. This could be why he showed his support to David Clarke, the Wisconsin Sheriff who wanted to run for US Senate in 2018. Why is this so surprising? David Clarke is a Democrat! However, he’s proven time and time again that he wants to crack down on crime, something Dog is obviously a big advocate for! Beth Chapman was chosen to be on the reality TV show, Celebrity Big Brother, in 2016. The UK show is hugely popular with Brits, pulling in millions of viewers every year, and could have been another big break for the Chapman family, especially over the pond. However, the British government refused Beth a visa after allegations of her shoplifting in the 1980s arose. Beth never got her big break in the UK after all. According to Beth and Duane, they didn’t end their latest show because people were getting sick and tired of them – no, they ended it for the greater good! 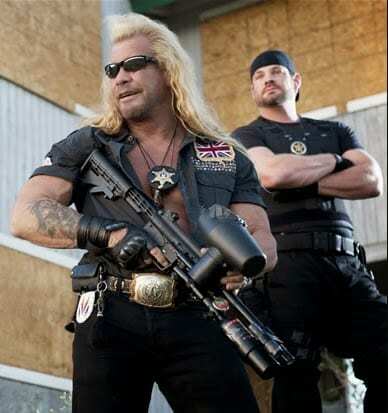 As many states were fighting to get rid of the bail system, letting potential criminals roam free until their court dates, Dog and Beth wanted to focus their efforts on saving the bounty hunting industry. If the laws to end the bail system are put through, there would be no bail bondsmen or bounty hunters, so Beth and Duane have been fighting ever since. Nicole Gillespie is the stepdaughter of Duane Chapman, and a bit of a bad egg apparently! In 2015, a video on the local news of a bank robbery led to Beth Chapman recognizing the prime suspect. Nicole Gillespie! Both Beth and Duane let the local Honolulu police know who she was and she was arrested. It turned out Nicole was homeless and had been living in a park before the famous bank robbing stunt. Duane ‘Dog’ Chapman has had some tough critics over his years, but none more so than fellow bounty hunter Christian Matlock. The wild boy cleaned up his partying ways and moved from Scotland to Virginia Beach where he became a bounty hunter. He’s often slated Dog, saying it can’t be very hard catching criminals that are trapped on an island (referring to Hawaii). He also believes Dog sold out with his TV show and probably isn’t very good at his job. Ouch! The State of Idaho were keen to change some of the bounty hunting laws back in 2016; that was until Dog stepped in. They wanted to change the law so that bounty hunters would not be able to get their license unless they had a conceal and carry gun license. If this law were in place, Dog would never have been able to get his own bounty hunter license – as he’s not allowed to carry firearms. Other felons would also not be allowed to become bounty hunters, so Dog campaigned against it and the bill lost. Two men escaped from a prison in New York, in 2015, which came as a huge surprise; no one had ever escaped from that prison before! It led to a huge manhunt in the area, with Dog giving his opinion on the cunning of the escapees. He said he was impressed they’d managed to break out, but then gave his expert advice to People magazine on what they could be doing and where they might be hiding. Dog has always liked to teach his children the family trade, so it comes as no surprise to learn many of them have at least some experience in bounty hunting. 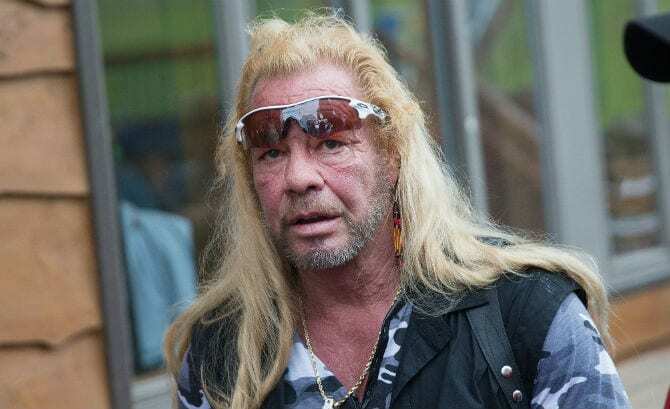 Duane Chapman Jr., one of the Dog’s puppies as we like to call his kids, has opened up his own bounty hunting business in Florida. Like the rest of his siblings, he had a difficult childhood and was a naughty teen, before his father took him in and taught him the ways of bounty hunting. 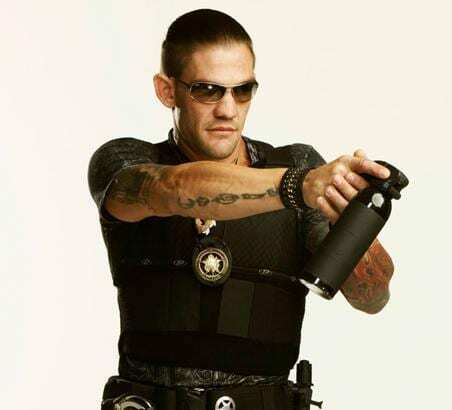 Leland Chapman, Duane’s son born just before he went to prison, has made a bit of a name for himself in America. 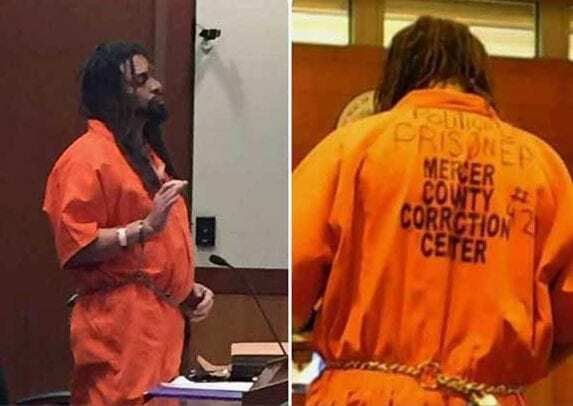 He recently visited Galion, a small town in Ohio, to take part in a street fair organized by the local bail bond company. He signed autographs for all of his adoring fans – and it’s thought over 1,000 people turned up to see him. While that may not sound like a lot, Galion only has 10,000 residents. So, not a bad turnout after all then! How much do you think one of the greatest bounty hunters on earth is worth? 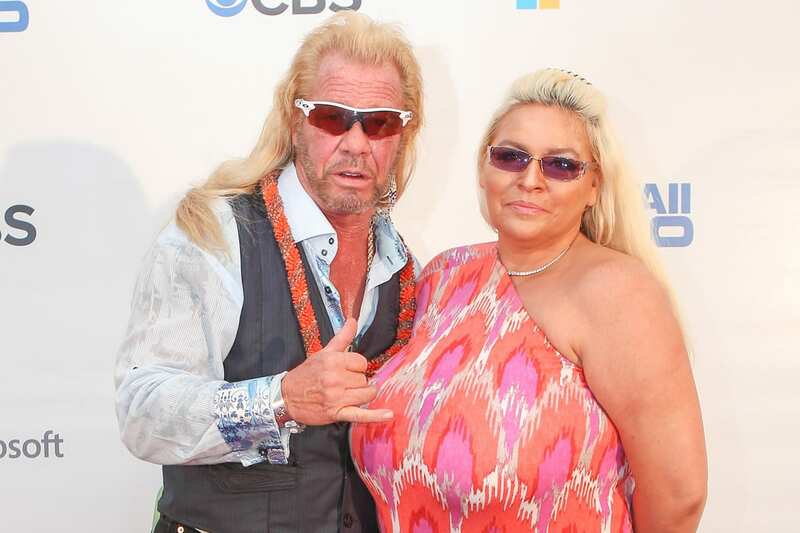 Well, according to reports, Duane Chapman has a net worth of $6 million. The majority of his money has come through his work as a bounty hunter and bail bondsman. It’s a well-paying job, you know! However, Dog has made a bit more than your average bounty hunter through the TV show deals too. Duane Chapman has also written two books, which have been a nice little boost in income. Duane ‘Dog’ Chapman lost his sister in 2016, in rather sad circumstances. Jolene Kay Martinez got pneumonia which became so bad she had to be hospitalized. She was put on life support, but unfortunately didn’t make it and the plug was pulled. She was just 62 when she died, and Duane flew back to his hometown of Denver in order to lay his sister to rest. This was an utterly heartbreaking moment for both Duane and his entire family. 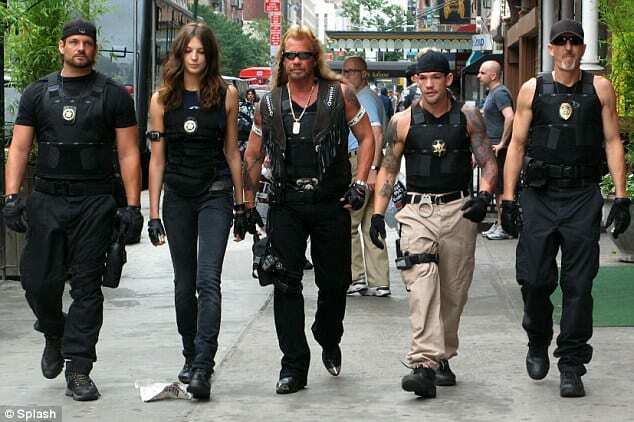 How would you like to be the proud owner of a load of Dog the Bounty Hunter swag? Well, turns out you can. Duane actually has his own souvenir shop, where you can buy all of the hunting gear and a load of tees with his face on. Cool, right? 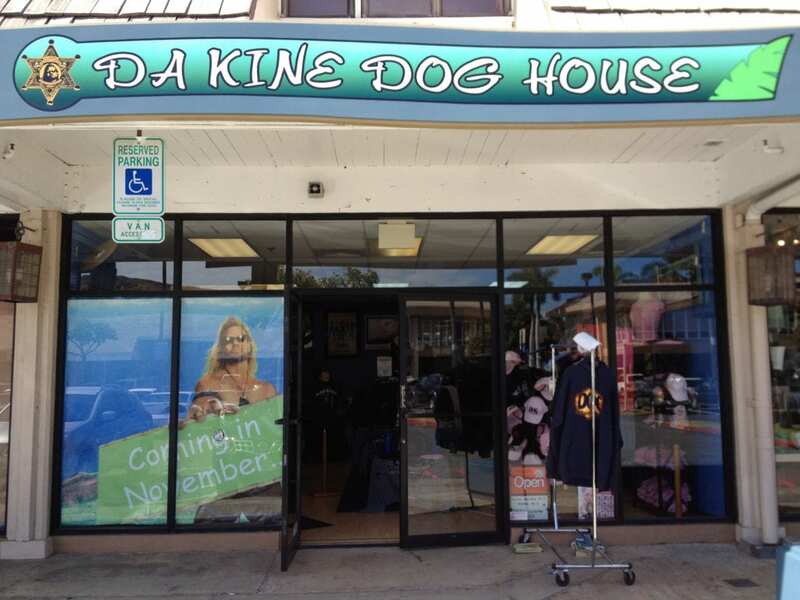 The main store is in Honolulu, which is where Dog lives now. Or, you can head to the store in his hometown of Denver, Colorado. Unfortunately, not all of the Dog merch shops are doing so well. One of them has already had to close down! The store located on Oahu, an island south of Honolulu in Hawaii, was recently closed down after a dispute between the Chapmans and the store owner. He said they didn’t pay rent on the property, but they said he broke the contract. The matter is going to be settled once and for all in court. It’s not just Beth and Duane that owns a store in the mall! In the same center where the Dog merchandise shop is, Lyssa Chapman has her very own business. A tanning salon. In Hawaii. Makes sense?! Well actually, lying in a sunbed is far more air conditioned than lying in the sun. The red rays of Lyssa’s sunbeds are also less harmful than the sun’s UV rays. So there ya go! 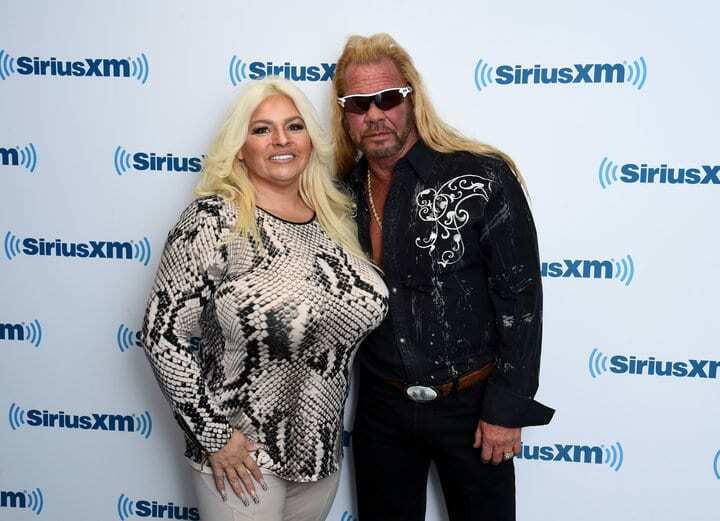 We already know how much Duane Chapman is worth, but what about his wife? According to reports, Beth is worth around $2 million. Not bad! The majority of her money comes from working alongside her husband in their bail bonds center. She’s also snagged her own deals with Country Music Television and A&E, the company that produces Dog the Bounty Hunter. She’s worked hard to get where she is, and we think she is worth every cent! You can run, but you can’t hide. That’s the title of Duane ‘Dog’ Chapman’s autobiography, which he released back in 2007. Throughout the book, he goes into detail about his upbringing, his time in prison, how he became a bounty hunter, and everything in between. It also talks about his transformation from the bad guy into catching the bad guys. 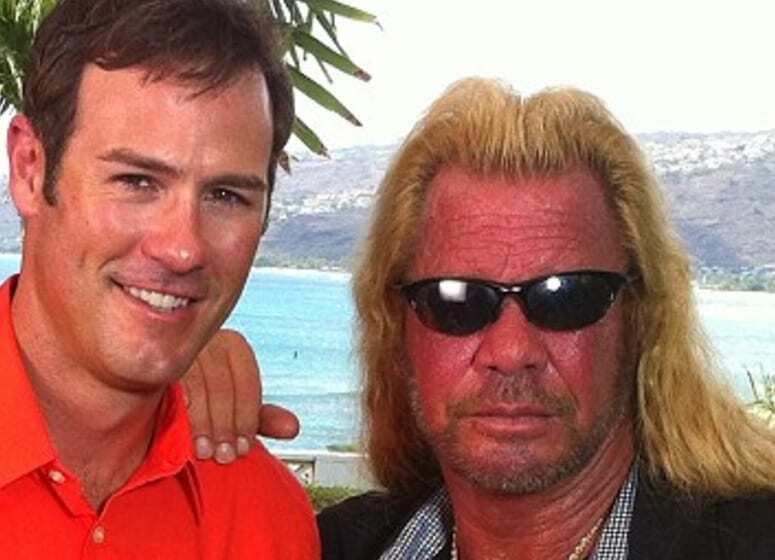 If you’re a Dog the Bounty Hunter fan, this is a must-read!